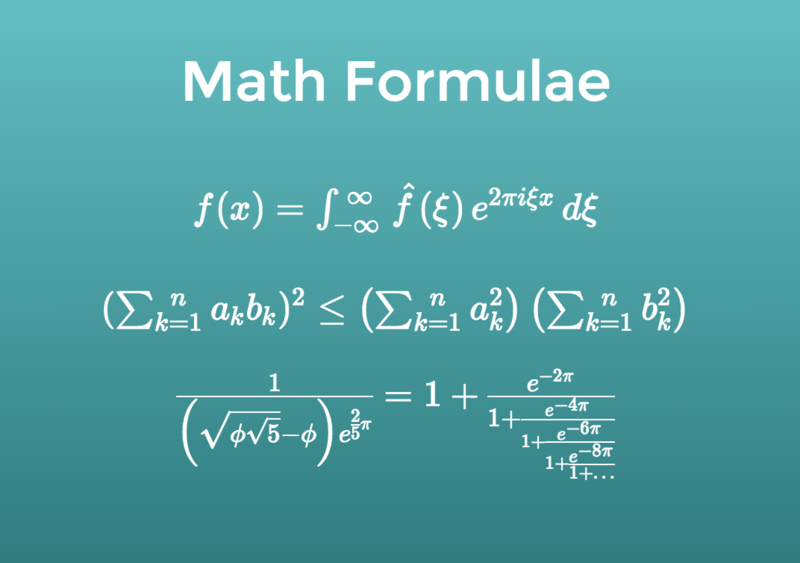 The Slides editor allows you to easily and elegantly display mathematical formulas in your presentations. This is available as a content block type in the editor, next to the other blocks such as text and image. The Math block accepts TeX input which is converted into a beautiful math rendering in realtime. The \( \) wrapper renders your math inline with no line break, while \[ \] and $$ $$ both show math in "display" mode on its own line.